Sweet and smooth, perfumed with warming spices, pumpkin butter is a real autumnal treat. People naturally want to give their homemade pumpkin butter as a food gift. Yet year after year, I have to disappoint people by telling them that they cannot can it at home, neither by water bath canning nor by pressure canning. The same holds true for unsweetened purées of pumpkin and winter squash. Pumpkin butter and purée can, however, be safely frozen. The reasons for this have to do with two of the major factors for safety in canning: Acidity and viscosity. Pumpkin and squash are low-acid foods. In order to be safe for water bath canning, food must have a pH level of 4.6 or lower, preferably 4.2 to account for variation, in order to suppress the growth of c. botulinum bacteria that can cause botulism poisoning. Since pumpkin and squash are not only low-acid but can have highly variable acidity by the variety and by how they were grown and harvested, there is no clear amount of acidification to recommend across the board. 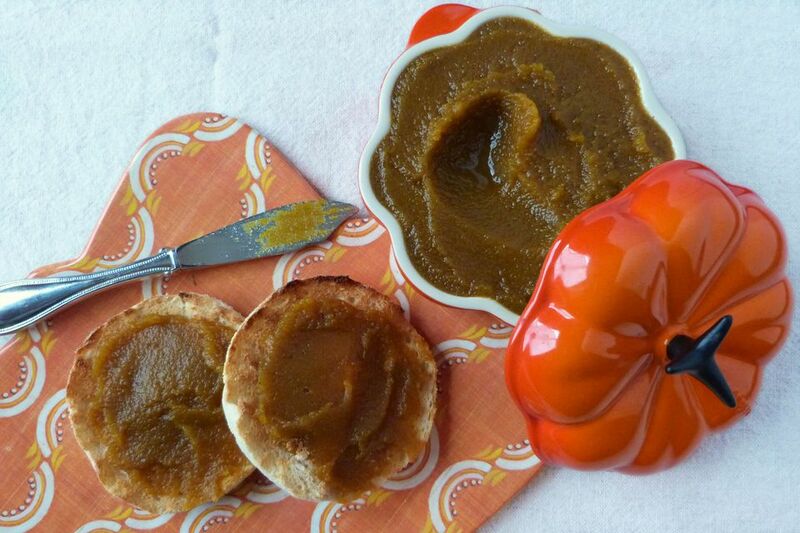 According to the National Center for Home Food Preservation, even when acidified with vinegar or lemon juice, "pumpkin butters produced by home canners ... have had pH values as high as 5.4. In fact, the pH values seemed to be extremely variable between batches made by the same formulation." Low-acid foods can be pressure canned, and in fact, it is possible to pressure can pumpkin, so long as it is cubed and packed in water. Pressure canning reaches temperatures sufficient to destroy the c. botulinum bacteria. As for purées and butters, again according to the NCHFP, studies "indicated that there was too much variation in viscosity among different batches of prepared pumpkin purées to permit calculation of a single processing recommendation that would cover the potential variation among products." In short, different squashes have different densities, and if a purée were too viscous, there may not be sufficient heat penetration during the canning process to kill off any pathogens in the center of the jar—even in a pressure canner. What About Pumpkin Butter Sold at Farmers Markets? So why, then, do you see canned pumpkin butter for sale from small-batch food producers at places like farms and farmers markets? How do they get away with it? In short, it is technically possible to formulate a recipe that is both sufficiently acidified and has a suitable viscosity; it is not, however, possible to create one that works for all squashes in all kitchens all the time. I reached out to Wendy Read of Sunchowder's Emporia, an independent preserves maker. She markets a pumpkin butter, so I asked her how she does it. It turns out that the FDA has a code of regulations in place specifically for food vendors who are acidifying low-acid foods, which includes pumpkin butter but also things like pickles. In order to get permission to sell acidified foods, a vendor must submit what's called a "scheduled process," basically outlining not only the recipe but detailed information on how the foods will be prepared, packed, and processed. This goes to an FDA-approved food safety and stability testing facility for review. Once approved, they send a Process Authority Letter, which enables the vendor to begin producing the food. However, that vendor must then carefully document a litany of things each time they produce a batch—ingredients, pH, fill temperature, processing times, cooking and cleaning procedures, and type and size of the container—to confirm that they are adhering to the approved process. If they vary from the process in any way, they must get an entirely new Process Authority Letter to continue. So you see, this is certainly more than the average home canner can take on for a simple food gift. Lest you think this is too absurdly onerous a procedure, keep in mind that in August 2014, a California company's jarred sauce was recalled after two people in Ohio were hospitalized with botulism. While it's true that there are only about 20 or so cases of food-borne botulism recorded in the U.S. each year, and only 11 people died of it between 1990-2000, with safe practice it can be prevented altogether.